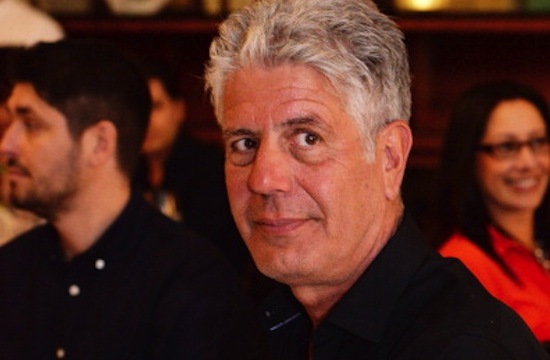 Season seven of Anthony Bourdain‘s Parts Unknown premieres on Sunday night. In Episode one, he takes a trip to The Philippines. In advance of the premiere, he did an interview with Skift, a travel website. He talks about all things travel TV, food, and where he’d like to go next. Of course, it’s all interesting, insightful, and probably correct. Here’s what we learned about him from the interview. “That’s evil sh*t to start thinking like that. I don’t make television for an audience really. I make it for the same reason when I cook. You don’t see the customers when you’re cooking in a kitchen. You put the plates up to the window and the highest and the best thing that could happen is the cooks on either side of you look at it in an approving way. You put it up fast, you put it up good. 3. He says that food is now the number one priority when people travel, because they want to have more “real” experiences. 4. He believes food is a good start to getting people better connected with each other. 5. Japan and China, in terms of food, will never get old. “Japan is always going to be exciting to me because I will never know Japan. As often as I’ve been there, and as passionate as I am about the culture and the food, I understand that I will never know enough. I will never be comfortable with how much I know about the place.